As we charge by the mile we can often beat the price of overnight next day pallet networks. We are not just an urgent courier for goods that should have been at your customer yesterday, we also specialise in light haulage. UK prices per pallet on average are £40.00 per pallet (London, remote areas and time deiveries sometimes also incur surcharges). We can guarantee to beat any price within a certain mileage radius and number of pallets. 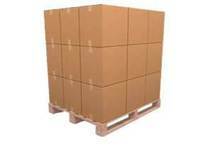 Pallet networks offer a great service and value for money especially for a small amount of pallets going long distance. However, we basically work opposite to this. Many businesses automatically think of a same day as far too expensive and will use only as a last resort or the goods are high value, fragile, time sensitive or extremely urgent. As prices vary due to mileage and amount of pallets please ring for a price on 07841 572496.